MINISTER JOAN BURTON has said she is “feeling hopeful” that she will be named leader of the Labour Party later today. The count is due to start at around 12.30pm with the result expected at 3.30pm. The Social Protection Minister is spending her morning at a forum to hear from various NGOs about what they think should be prioritised in the next Budget. Speaking ahead of the forum today, she told reporters that “if the people who have been helping with my campaign are to be believed in seem to be fairly strongly supported”. She said he has not made an decisions yet about a reshuffle of Labour ministers but she she expects to be meeting the Taoiseach after the weekend to discuss it. As for her own Cabinet position, Burton said she is “enormously committed” to the Social Protection portfolio and that she would be happy to remain in that position but, again, stressed these were matters that would be discussed once the new Labour Party leader has been crowned. If she is victorious, the minister said she thinks that “social recovery”, rather than an emphasis on economic matters, will occupy “quite an amount of the discussion” about the programme for government. Email “'Fingers still crossed': Joan Burton feeling hopeful about Labour leadership”. 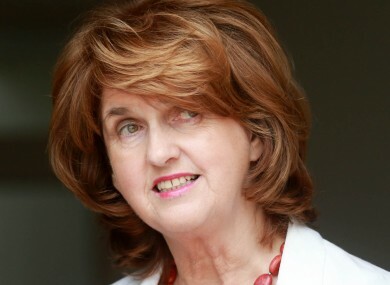 Feedback on “'Fingers still crossed': Joan Burton feeling hopeful about Labour leadership”.